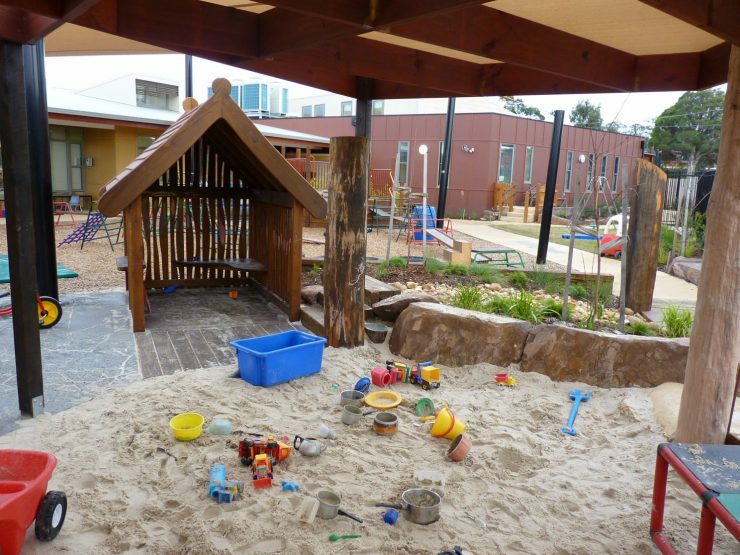 A new children’s service bringing together kinder and child care, toy library, early intervention and maternal child health and community uses all under one roof; one of the first centres of its kind in victoria. The landscape scope included design of three outdoor play spaces for children in long day care, plus occasional care, community outdoor areas, and an assessment courtyard for early intervention staff, as well as entry and car parking. 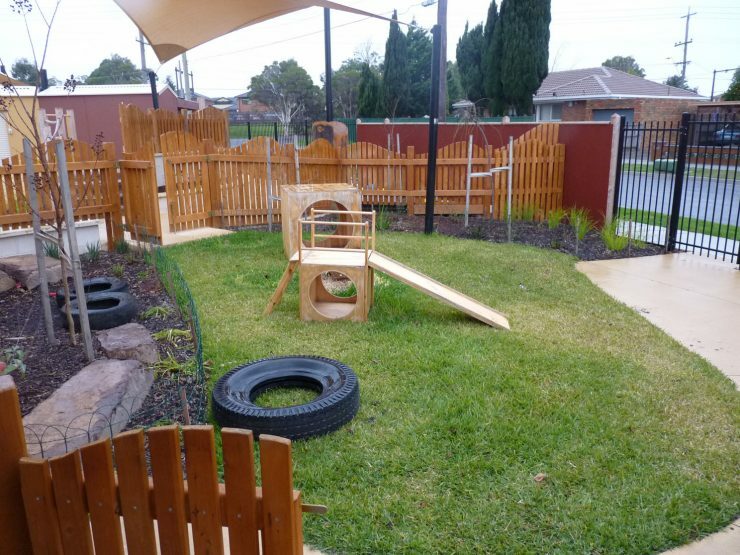 The play spaces provide a progression from babies to 5 and 6 year olds, with age appropriate elements at the right scale for their respective age groups. 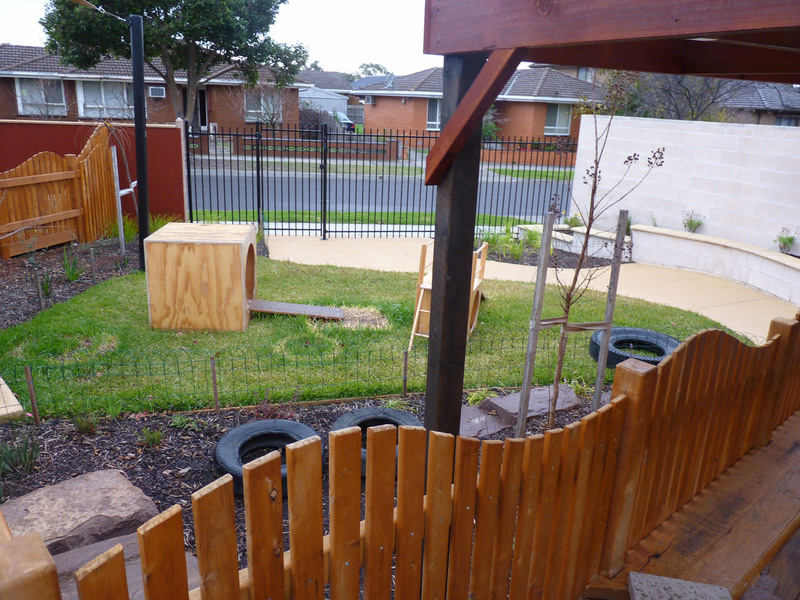 Each yard has a slightly different character. 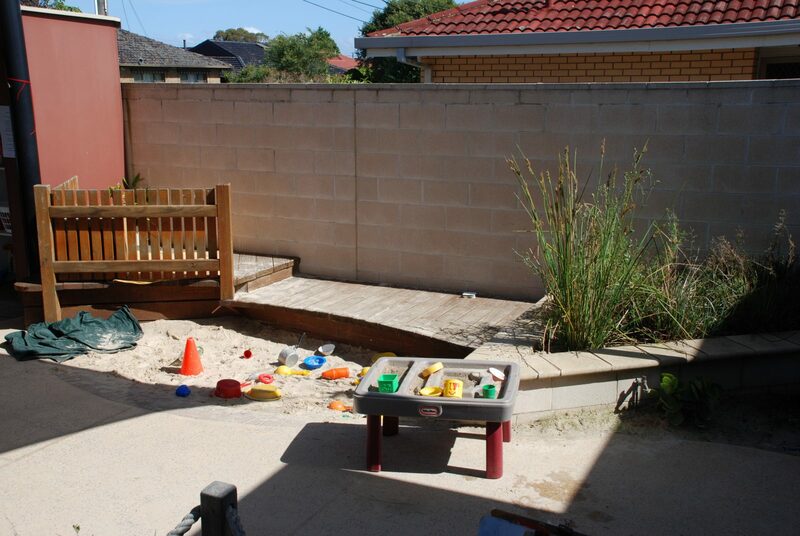 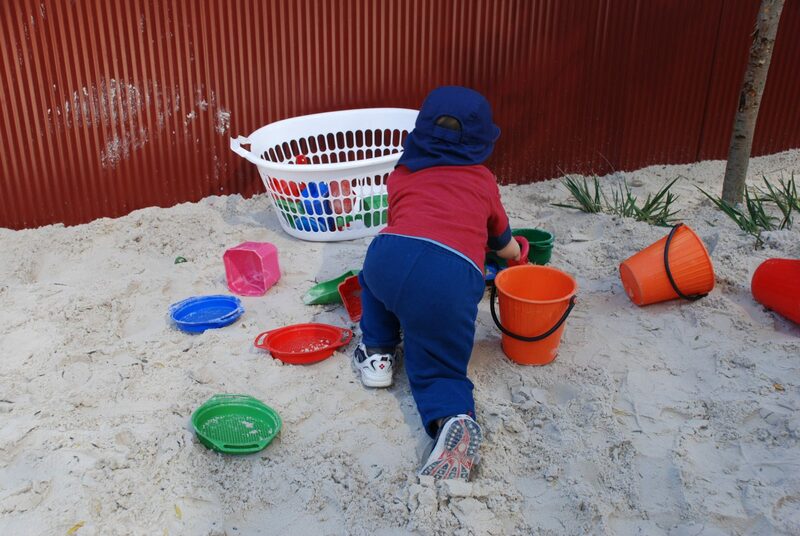 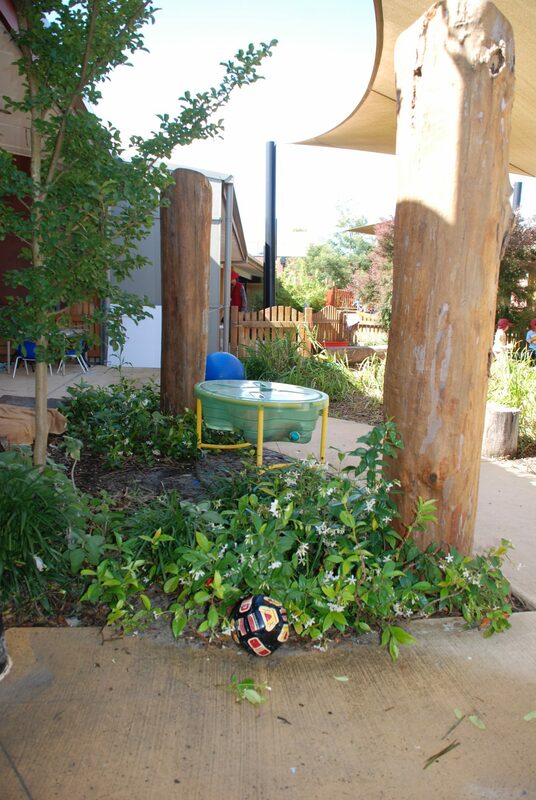 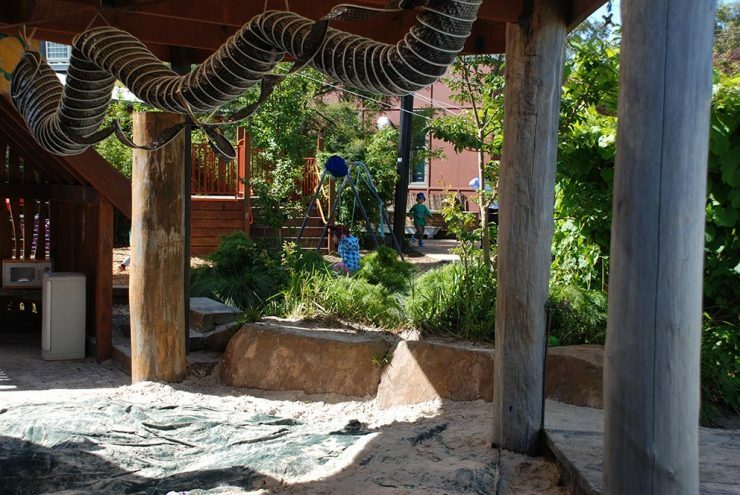 Each space can operate fully independently with provision for creative/sensory play in sand and vegetation, digging and dirt; open areas for climbing, running and bike play, cubbies for imaginative play ,block play, wheeled toys and a series of small scale spaces that can be adapted as the children wish. 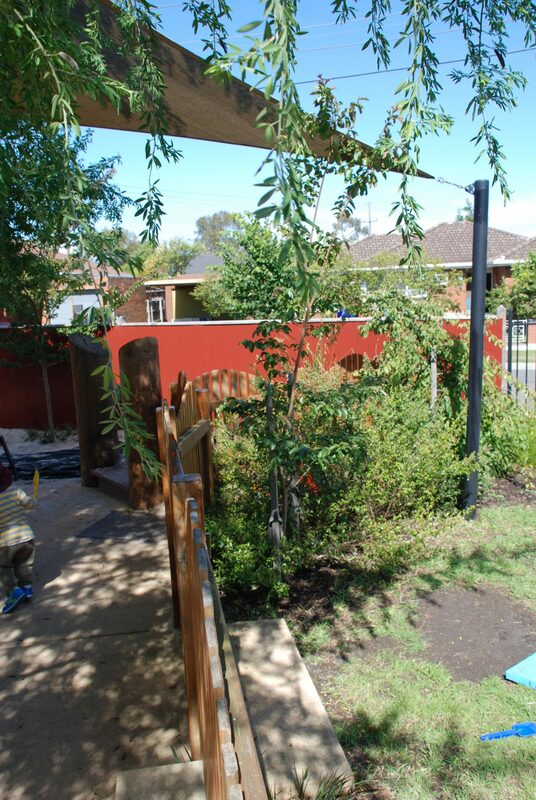 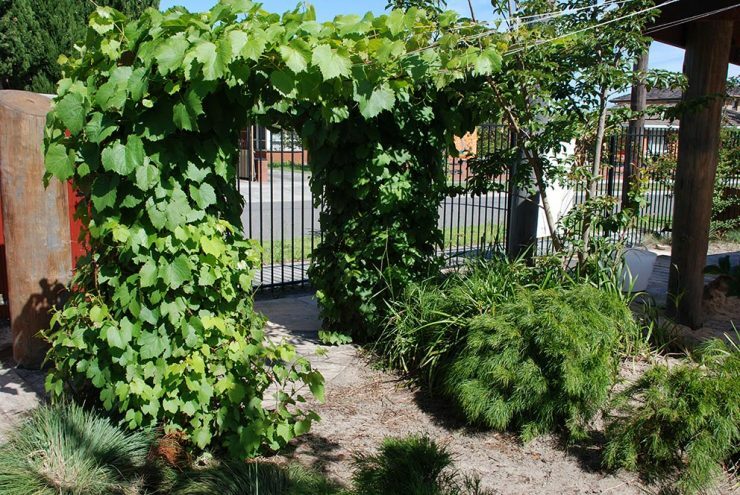 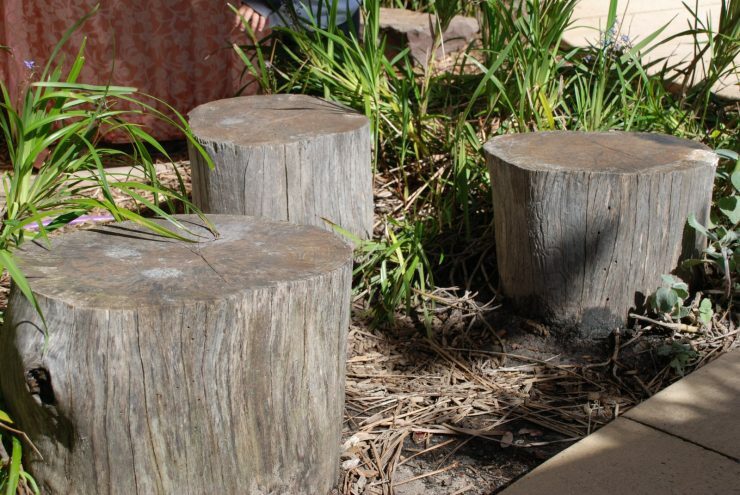 Mulched climbing areas have built in corner decks with rungs to allow staff to set up movable loose climbing activities and to change these regularly.